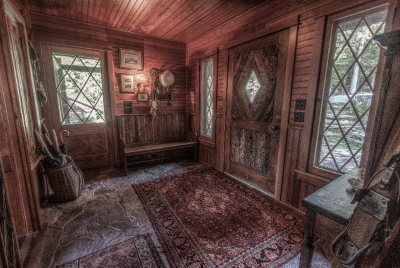 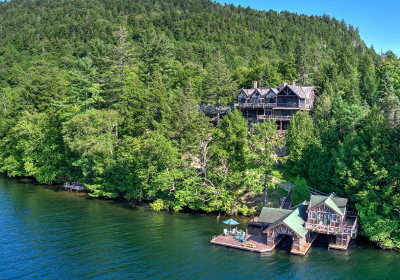 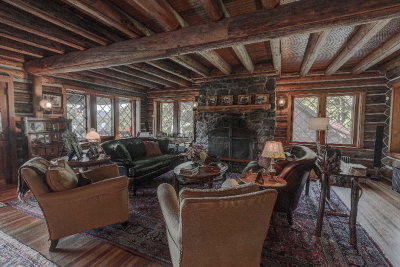 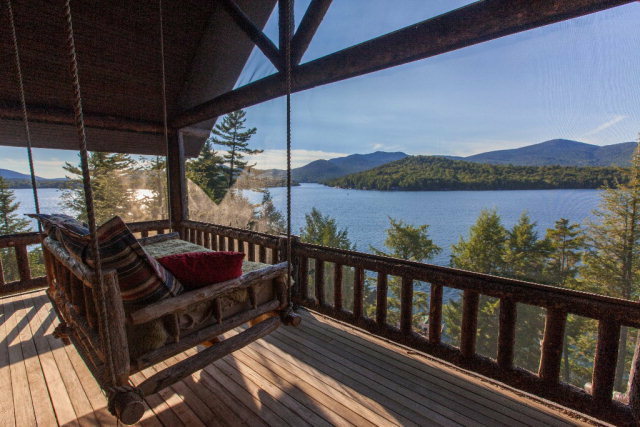 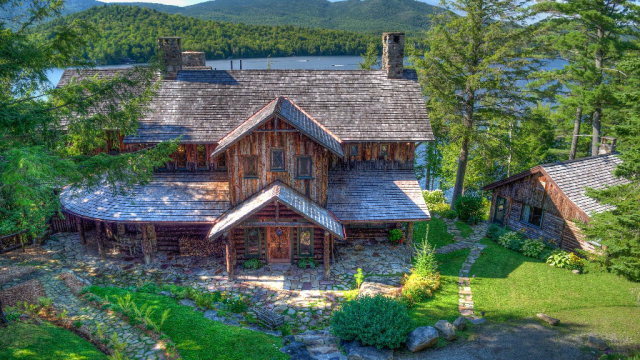 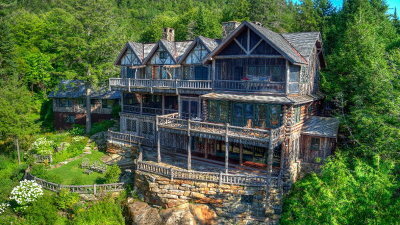 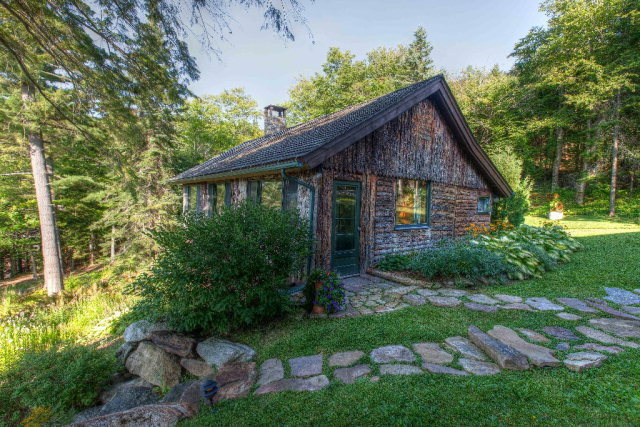 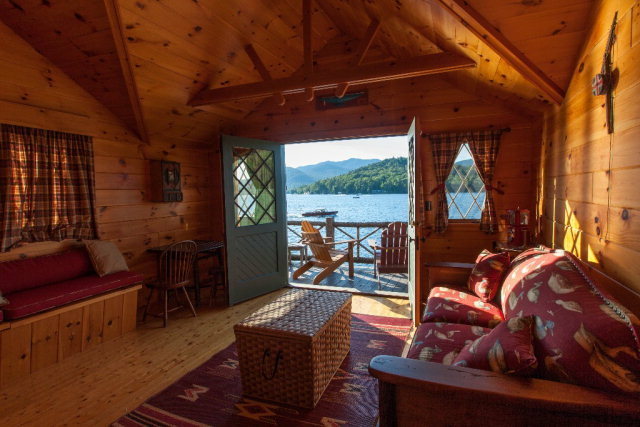 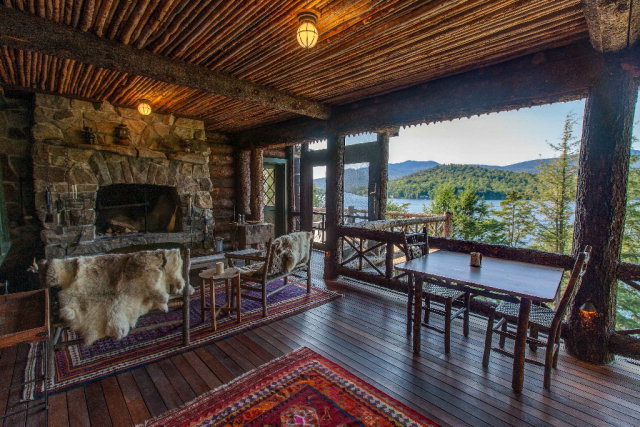 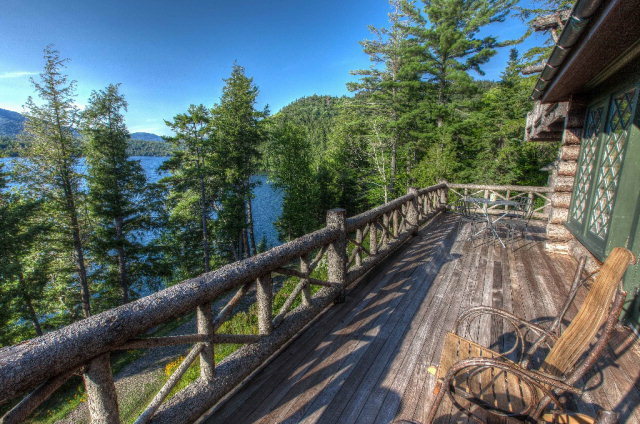 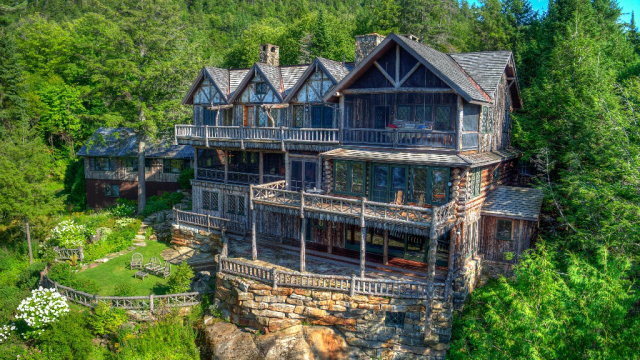 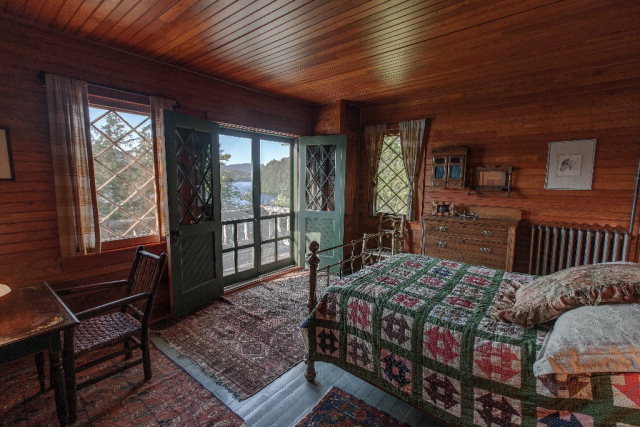 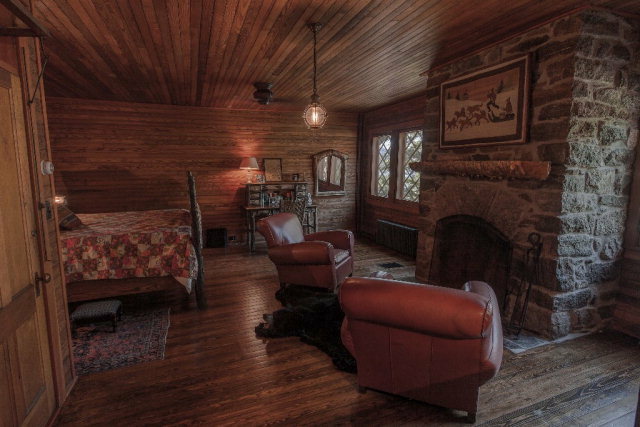 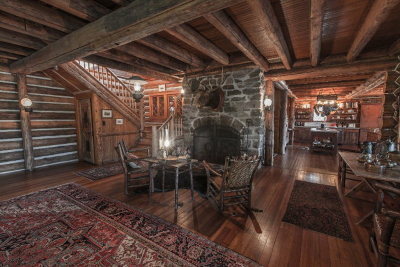 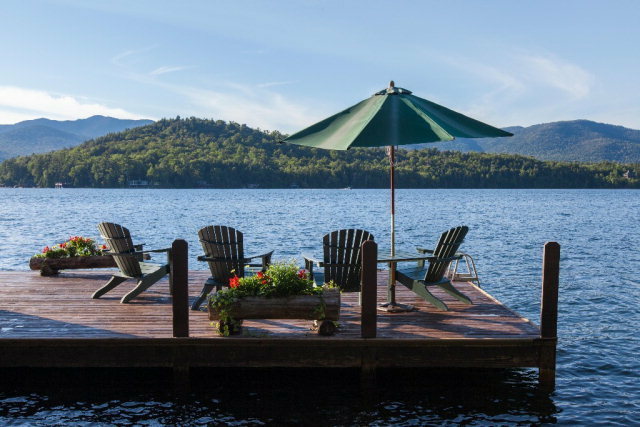 This distinctive Adirondack âGreat Campâ was originally built in 1901 and designed by noted architect William L. Coulter. 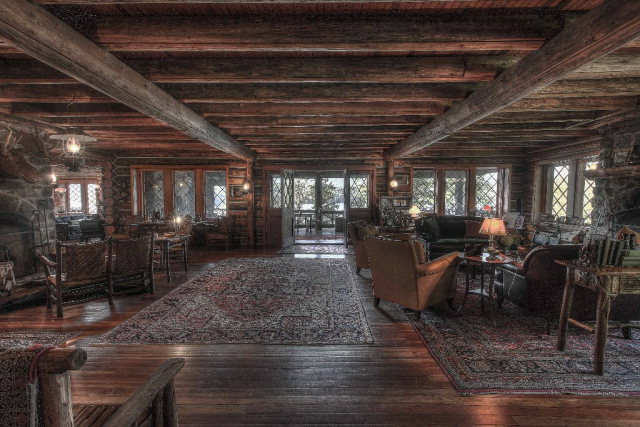 In 2007, the current owners undertook to winterize and renovate the main structure while enhancing it's historical significance and structural integrity. 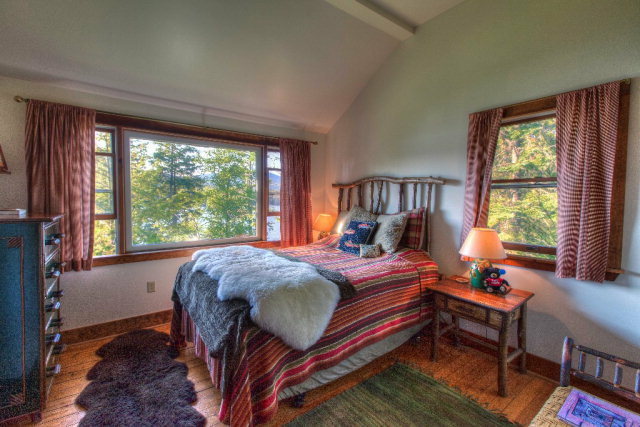 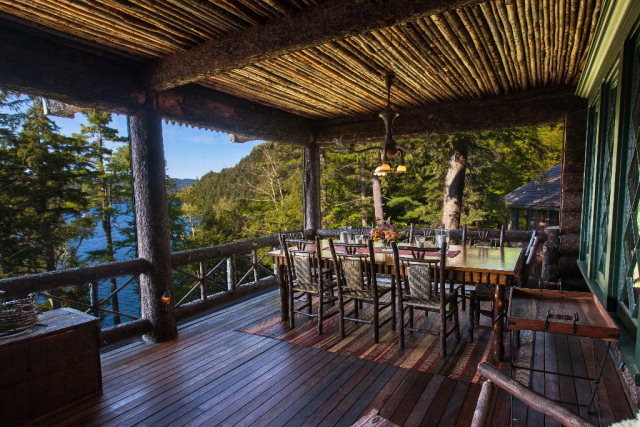 Perched along 200 FT of shoreline with commanding westerly views towards Sunset Straight. 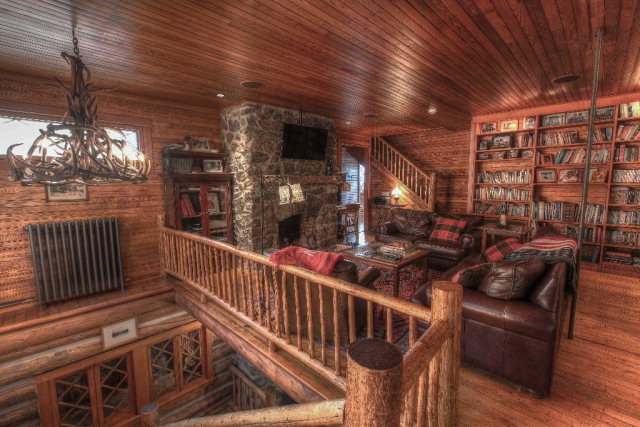 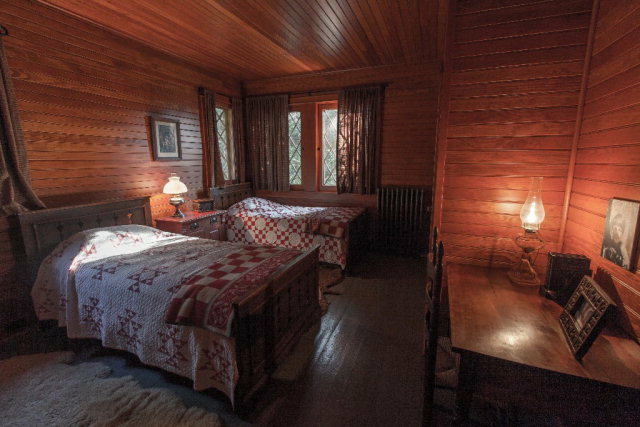 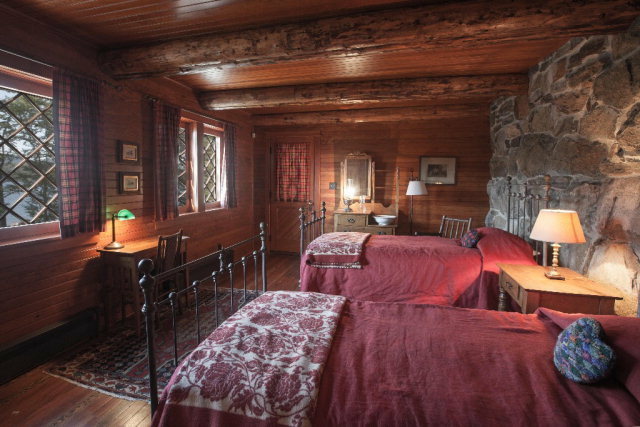 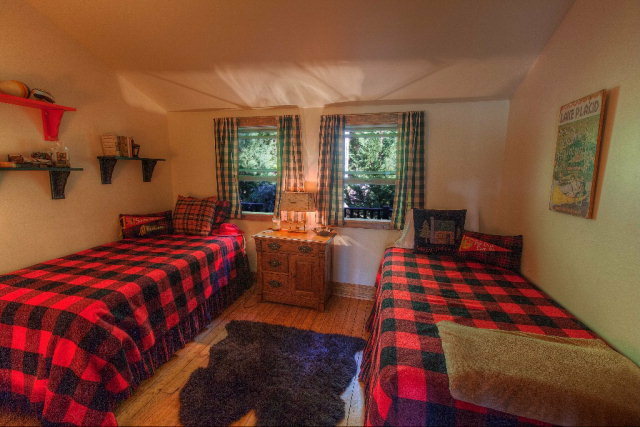 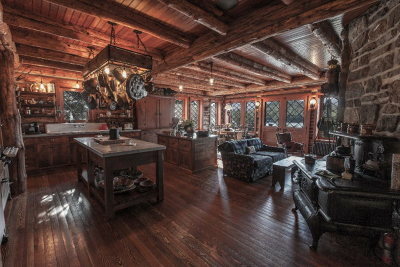 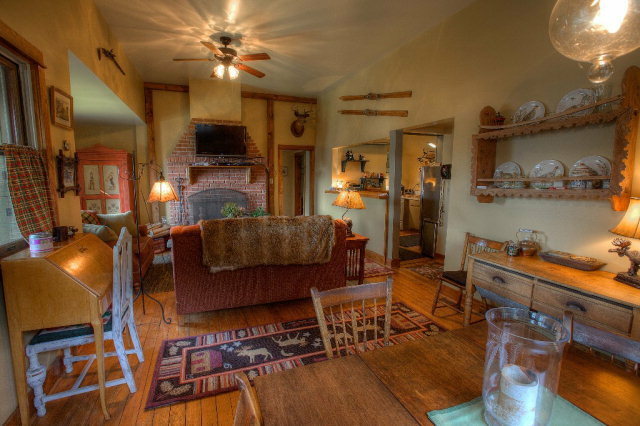 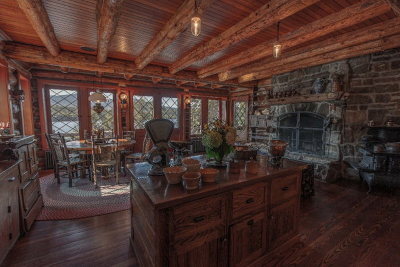 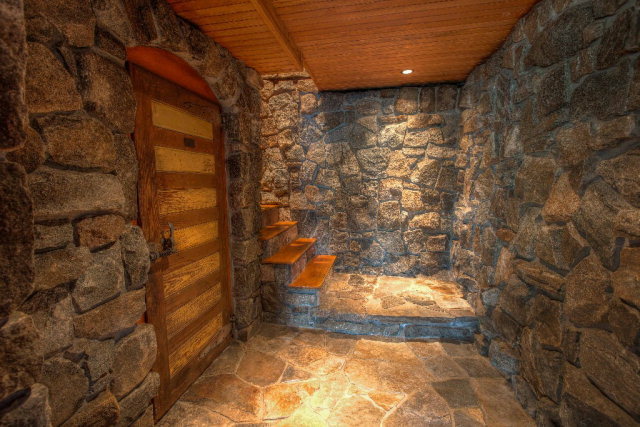 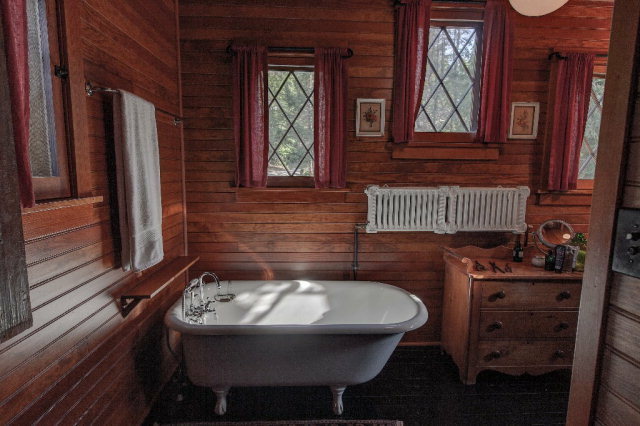 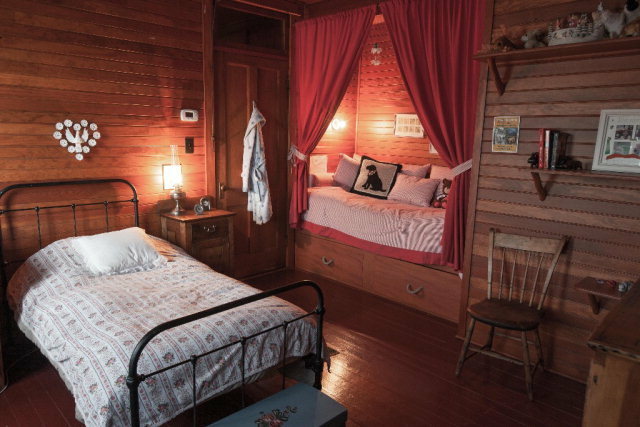 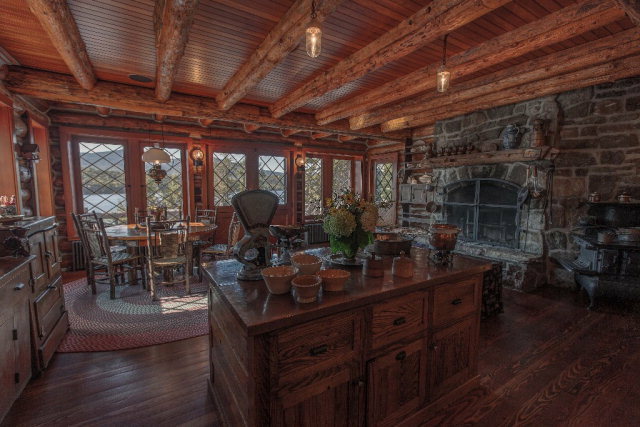 The main camp features 6 bedrooms, 4.5 baths, 6 stone fireplaces, original fir floors, log beams and trusses + guest cottage. 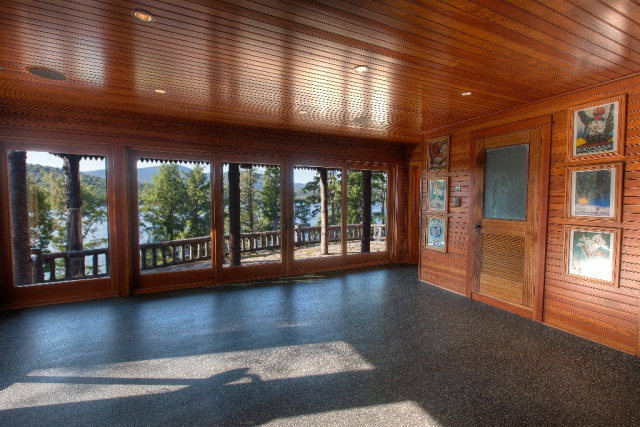 It's front screened porch is a prominent architectural attribute ideal for causal dining and relaxation. 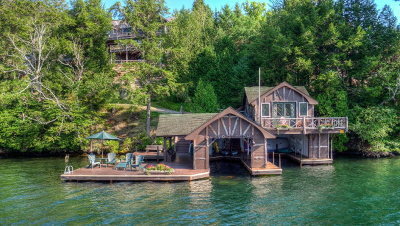 Also includes 2 slip boathouse with vaulted living space and bathroom. 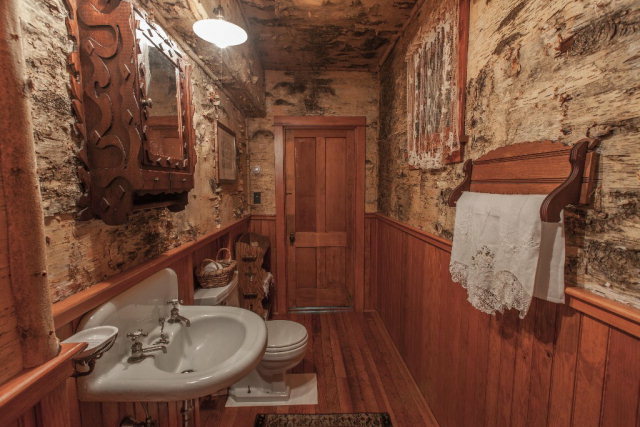 An Extraordinary offering!